Sales at the Italian-themed eateries are on the rise. We hate to admit it—we really do—but no one makes breadsticks quite like Olive Garden. But whether it's the Italian-food restaurant's buttered and seasoned sticks or its limitless house salad soaked in dressing that keeps its dedicated customers in its booths, there's no way to tell. Either way, it doesn't matter—the point is, folks are coming back. In fact, while many a chain restaurant's sales fell in recent months—thanks to young millennial customers, some say—Olive Garden's sales are rising. According to CNN, Darden Restaurants, which owns Olive Garden, says the chain's sales are up more than four percent in its most recent quarter to an all-time, record high, even while it's competitors, such as TGI Fridays, Ruby Tuesday, and Applebee's, are struggling. Olive Garden is Darden restaurant's number one performer, out-selling Long Horn Steakhouse, Bahama Breeze, and its several other casual dining chains, according to CNN. It's four percent sales' increase came paired with a two percent jump in traffic—otherwise known as the number of people who are dining in its restaurants. What gives? 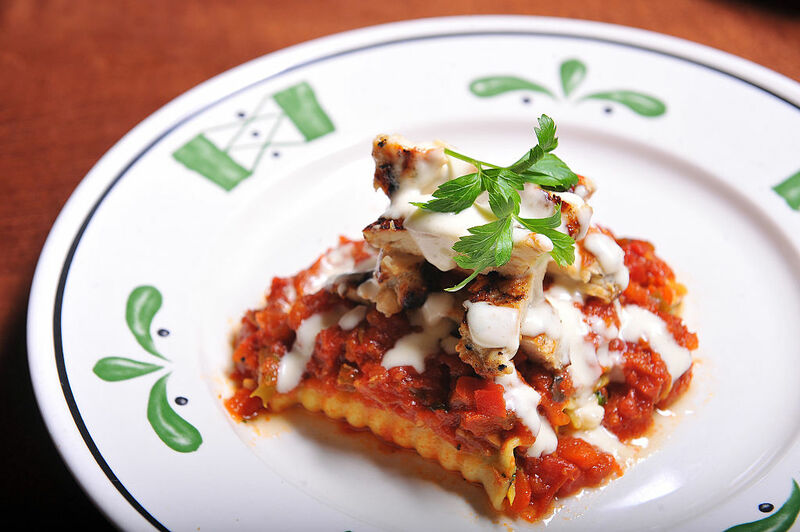 Olive Garden's success might be due in part to an investor, Starboard, demanding big changes to the brand—think: no slathering pastas in sauces and no longer wasting copious amounts of food. (Don't worry: you still get unlimited salad.) Starboard's demands came with a new CEO, Gene Lee, who ushered in the changes. Millennials are eating the changes up—excuse the literal pun. "Guests still want to come to restaurants," Lee has said. "Believe it or not, millennials still want to come to restaurants. I know you don't think millennials go to casual dining restaurants, but 30 percent of our guests are millennials." Even millennials like and ironic bowl of penne now and again. Olive Garden isn't the only "casual" dining spot seeing its sales increase, however. CNN reports that McDonald's, Burger King, and Popeyes Louisiana Kitchen are all doing well—in fact, their shares are at a near all-time high, the news site says. Keep in mind, the former is switching over to fresh beef and the latter two are removing antibiotics from their chicken. Perhaps there's even a point to be made that millennials and their proclivities are just bringing about some much-needed change to the commercial food industry.